6 Nov 1936. 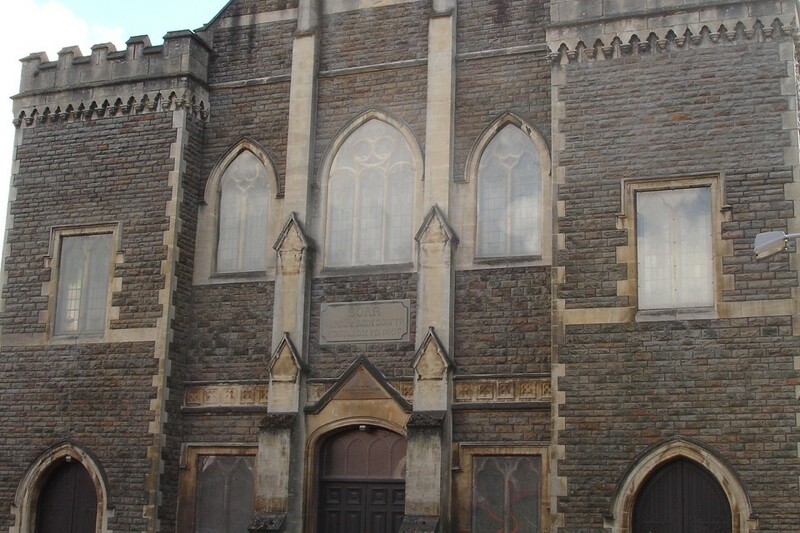 Broadcast from Soar Baptist Chapel, Morriston with Tudor Davies (tenor). 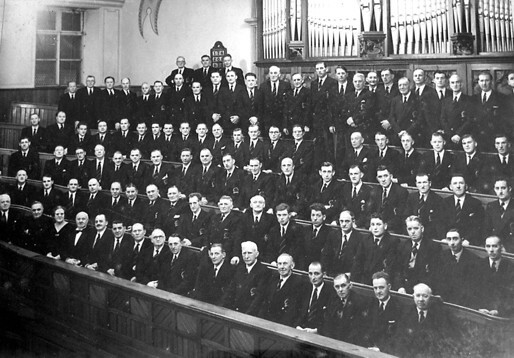 Broadcast from Soar Chapel, Morriston on 27 Nov 1938 at 20.05. From Radio Times:Luigi Cherubini (1760-1842), though a Florentine by birth, settled in Paris in 1788 and spent practically the whole of the remainder of his life there. He had the distinction of being admired by Beethoven above all contemporary opera composers. From the age of fifty he turned his attention more and more to the composition of church music. 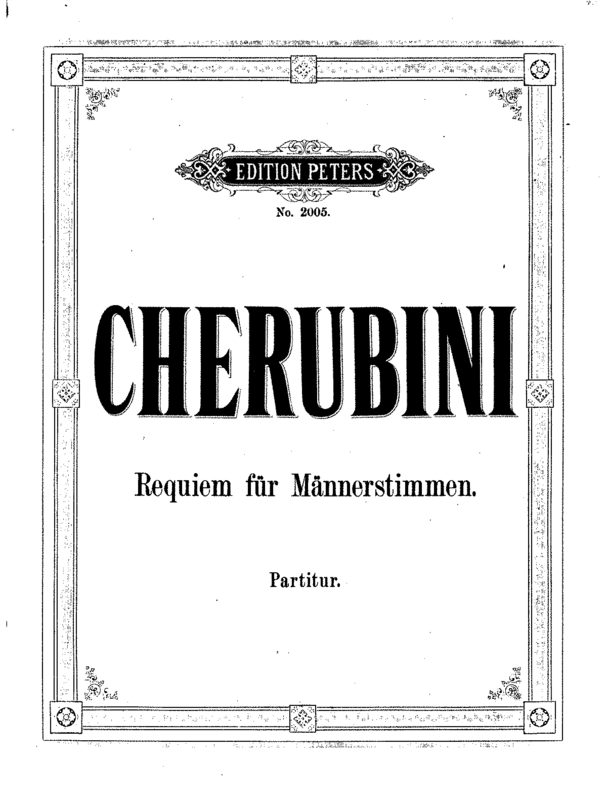 This fine Requiem in D minor for male voices, written in 1836, is not to be confused with the much better known Requiem in C minor (1817), very rarely sung in this country. It is choral throughout, having no arias for soloists. It contains one of the most beautiful unaccompanied movements ever written for male voices, the ' Pie Jesu '. Gorse Hall, Swansea Recording on 9 Aug 1941. 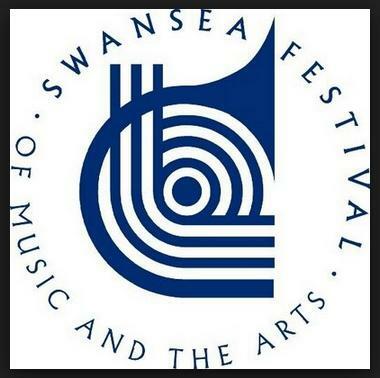 Broadcast 22.00 hrs, 12 June 1943 from Gorse Hall, Swansea for the BBC Forces Programme, titled 'Music for Male Voices'. 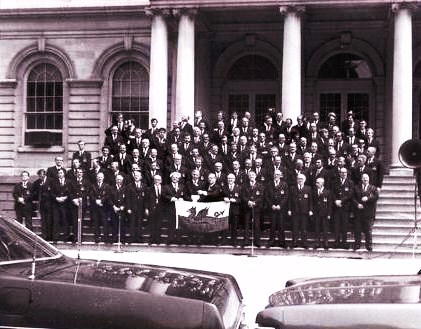 May 1948, at Gorse Hall, Swansea. No further details. with Lee Lawrence, Harry Secombe, Ossie Morris, Ann Walters, Marjorie Scott, Frank James, Sarah Leigh, Frank Davison, Dilys Lloyd. 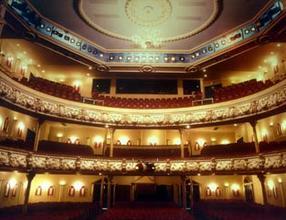 with Tano Ferendinos, Dan Donovan , Ossie Morris, Ann Walters , Frank James, Dilys Lloyd , Frank Davison. 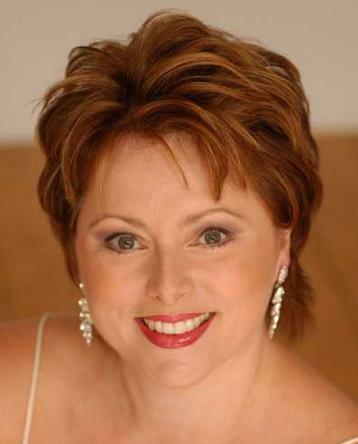 with Helen Hill (soprano), Zoe Cresswell (soprano), . 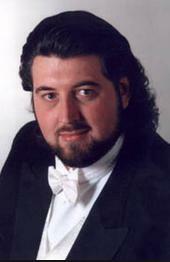 Eiddwen Griffiths (contralto), John Morgan (baritone), Bruce Dargavel (bass-baritone). 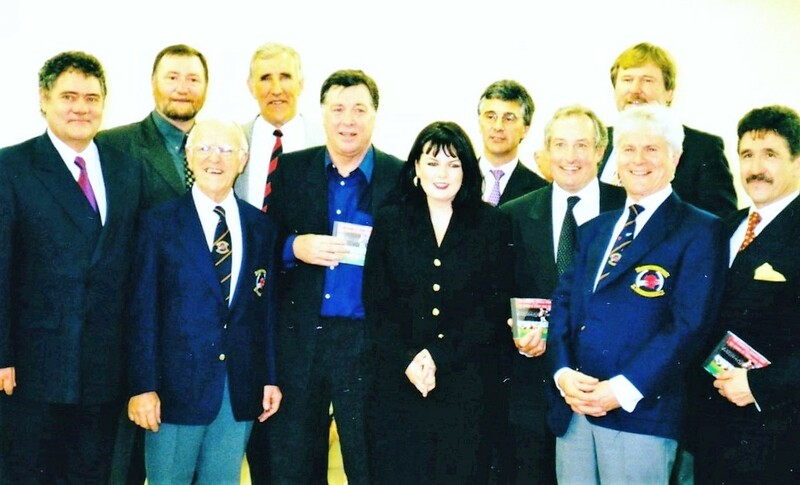 Harriet Lewis , Norman Wynne, Peter Coke , John McLaren, Jane Fergus, Sarah Leigh. 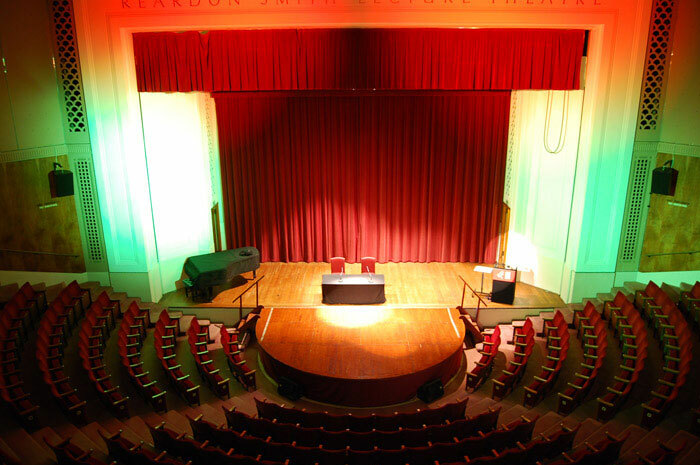 Broadcast from the Cory Hall, Cardiff on 2 and 9 November. 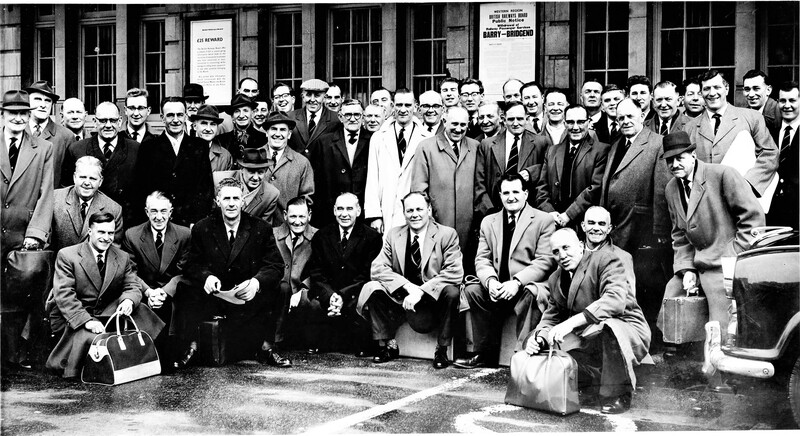 The Choir minutes dated January to May 1950 show that only 50 choristers were required for the BBC Radio Light Programmes called Welsh Rarebit - all to be chosen by the conductor, Ivor Sims. Broadcast at 21.00 on 7 June 1951 from the Public Hall, Pontardawe. 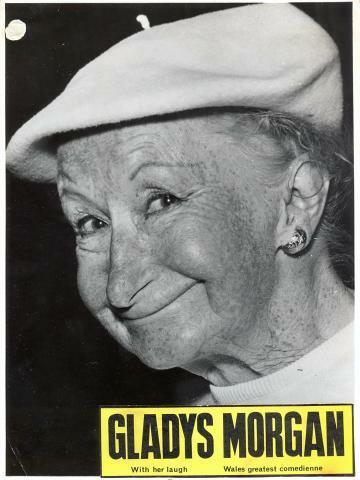 West Wales Edition with Gladys Morgan, John David , Bert Cecil, Frank James. Broadcast at 21.00 on 5 July 1951 from the Cory Hall, Cardiff. 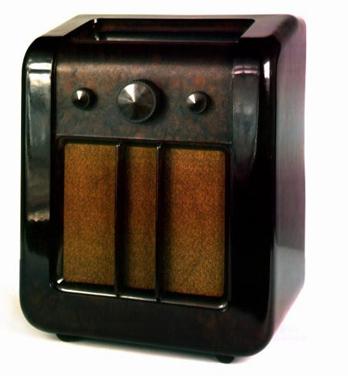 The Wenvoe Transmitter started broadcasting television on 15 August 1952. 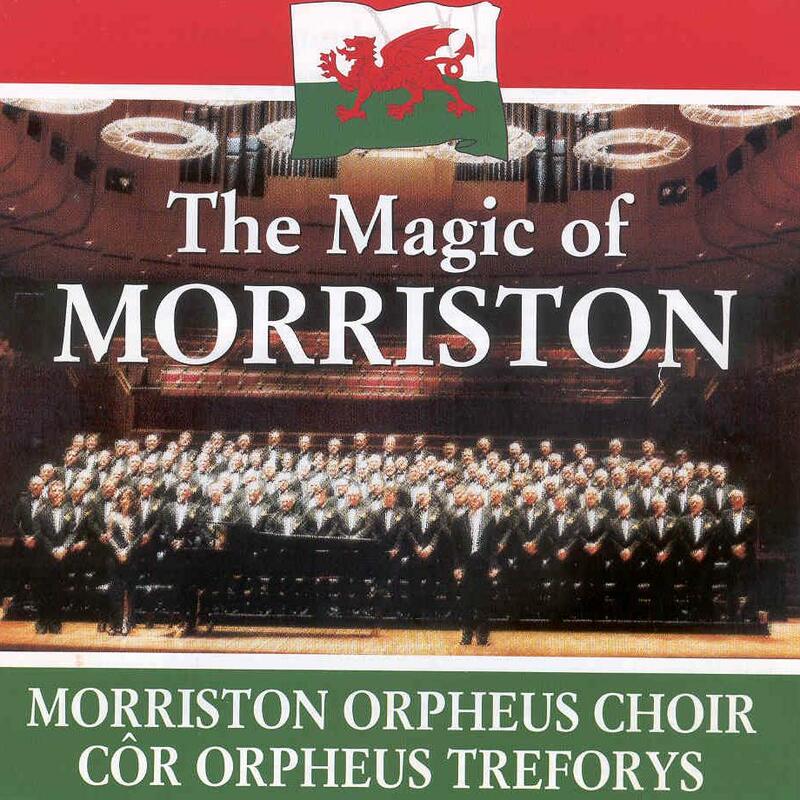 The Morriston Orpheus Choir participated in the first, historic broadcast from Wenvoe to the UK on this day. 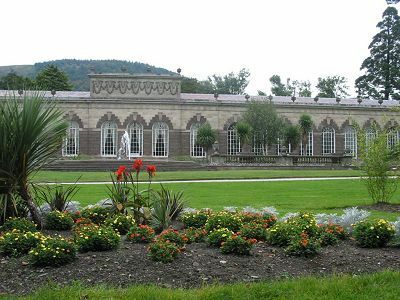 "Wynford Vaughan Thomas, gay and buoyant, arrived with a sheaf of notes in his hands...twenty minutes to eight the crowd made its way to the verge of the green lawn. 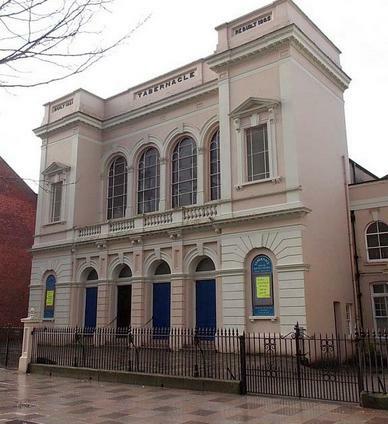 A man with earphones over his head and a trailing cord spoke to Ivor Sims, who was arranging his patient choir in front of the building... camera crews got their cameras into focus. 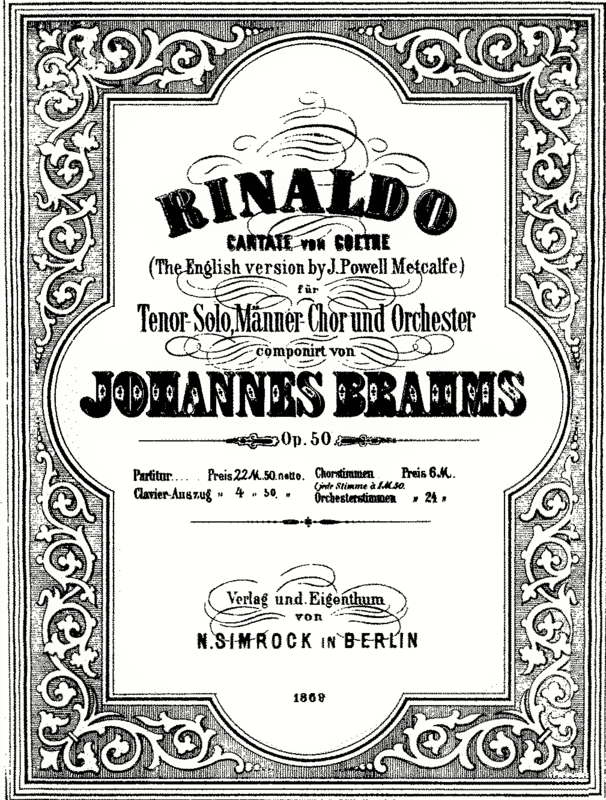 A performance of Brahms' Rinaldo, a cantata for tenor solo, male choir and orchestra. 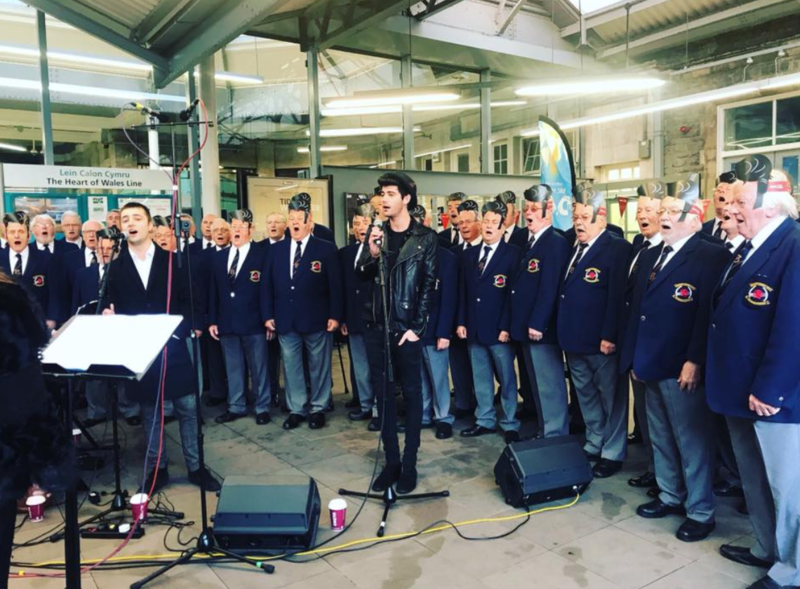 The Choir prior to the Royal Command Performance, and below outside Swansea Railway Station en route for London. 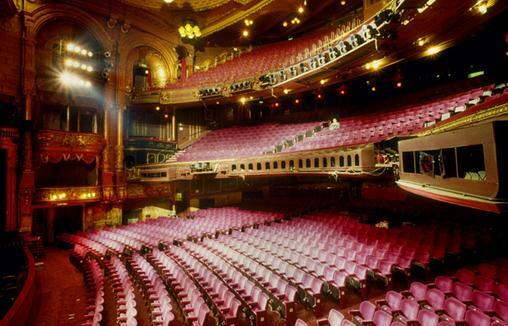 Below, the London Palladium Theatre. The greatest cheer of the evening went to the men who came on in their ordinary clothes. 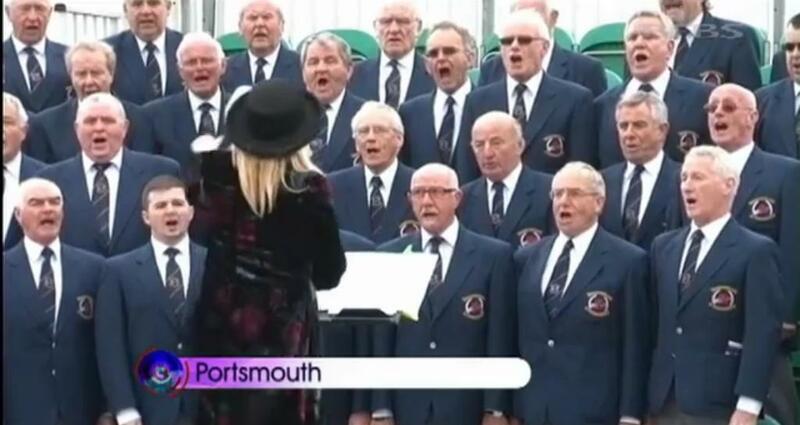 These were the Morriston Orpheus Choir from Swansea. Wearing miners’ helmets. Boiler suits and overalls they sang, ‘All through the night’. This was one of the few serious moments in the evening. It went over better than Mario Lanza and ever better than Markova dancing the ‘Dying Swan’. 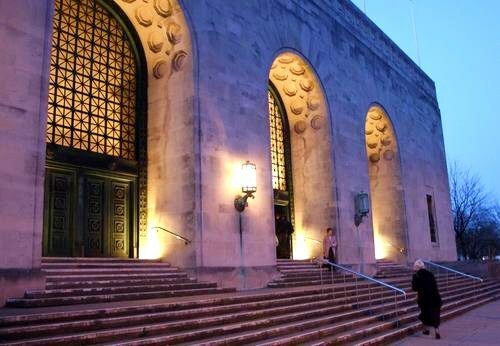 Cherubini Requiem:- It was proposed by Mr. Jonah Phillips, seconded by Mr. Tom Lewis that we join with Treorchy for the performance of the Cherubini at the Brangwyn Hall in conjunction with the BBC Wlesh Orchestra. Carried. 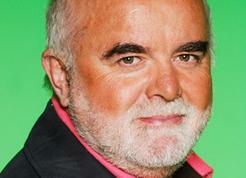 For the Third Programme. 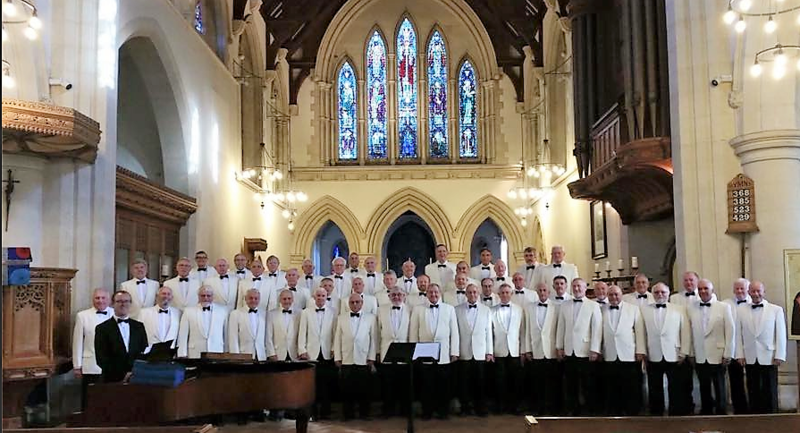 From Radio Times: Let's join the Morriston Orpheus Choir and their friends in a programme of community singing from Mynyddbach Multi-Lateral School, Swansea with John Morgan (baritone) Mary Kendall (piano) and Alun Williams , compère. 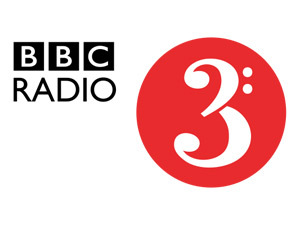 From Radio Times Let's join the Morritson Orpheus Choir and their friends In a programme of community singing from the BBC's studios in Swansea with John Morgan (baritone) Mary Kendall (piano) and Alun Williams , compère. Mary Kendall (piano) and Alun Williams , compère. 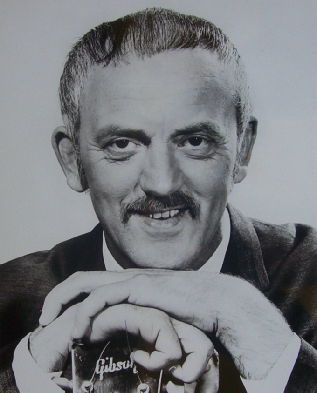 NOTE; This was probably the first broadcast without Ivor Sims as Conductor. 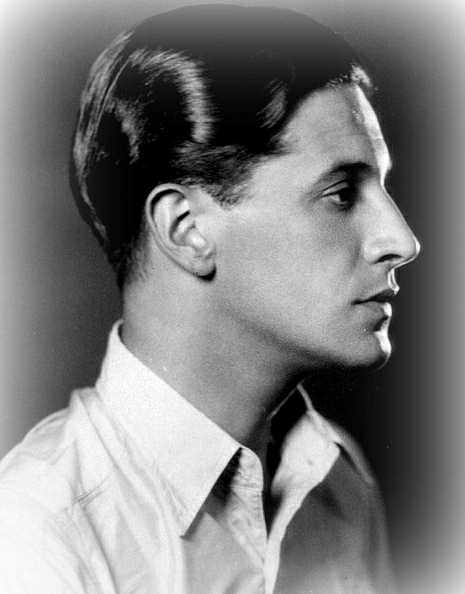 He died in 1961 and was succeeded by Eufryn John. 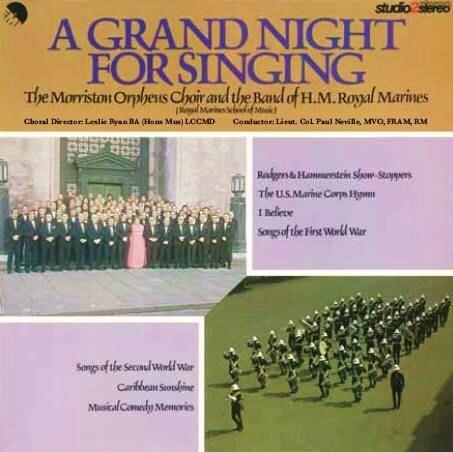 Morriston Orpheus Choir and its friends in a programme of community singing from a steel and tinplate works with John Morgan (baritone), Mary Kendall (piano) and Alun williams , compère. 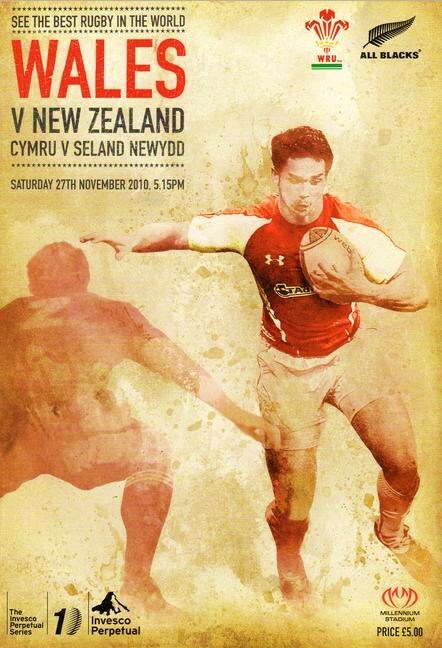 Programme conducted and produced by James Williams. 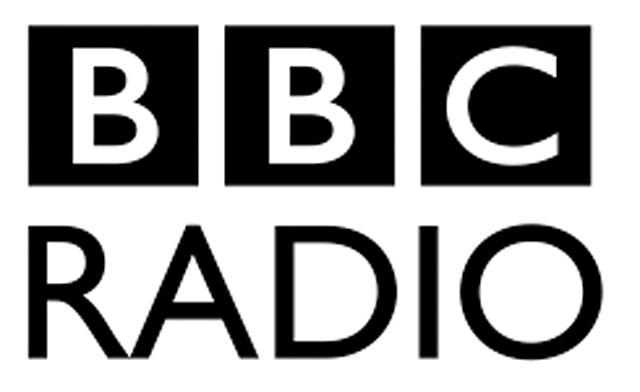 Alun Howells recalls: Most of these programmes, two in each year, were recorded in the BBC studios in Alexander Road, Swansea, but two were recorded in Mynyddbach School, Swansea. 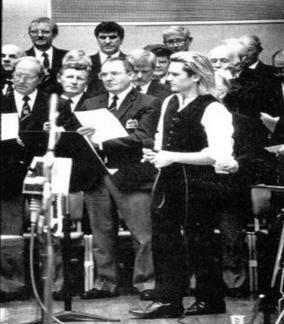 The programmes were introduced by Alun williams and took the form of a light baritone John Morgan singing popular songs with the Choir joining in the chorus, as well as singing two items on its own. 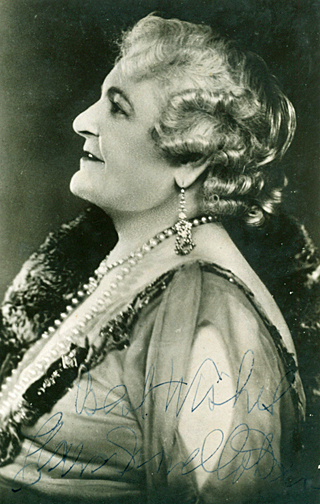 The accompanist was Mary Kendall. 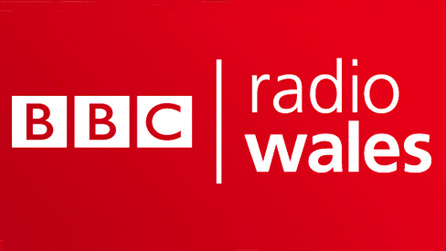 Recorded 8 January at the BBC Studios Swansea and on 19 January. Occasion: 133rd Annual Meeting of the BMA. 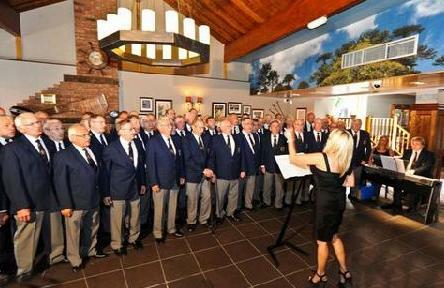 From Radio Times: Community songs from Wales Morriston Orpheus Choir. 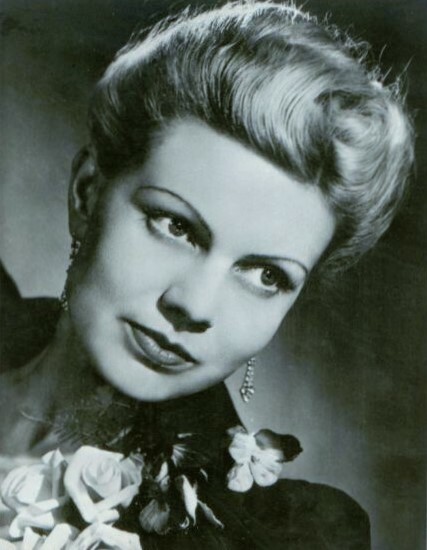 RICHARD REES (baritone), JOHN MORGAN (baritone), MARY KENDALL (piano). 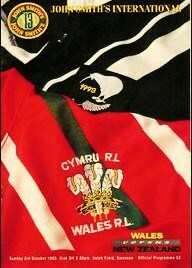 Recorded at Mynyddbach School, Swansea. 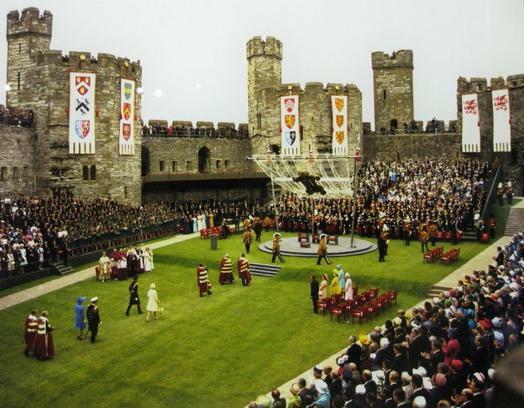 Alun Howells (2nd Bass) recalls; Five choristers from the Choir represented the Orpheus at the 1969 Investiture of the Prince of Wales at Caernarfon Castle. The Investiture Choir consisted of sections from Swansea, Cardiff, Aberystwyth, Bangor, London Welsh, and Welsh National Opera, and we sang specially composed pieces by Mansel Thomas, William Mathias and Alun Hoddinot as well as two hymns. 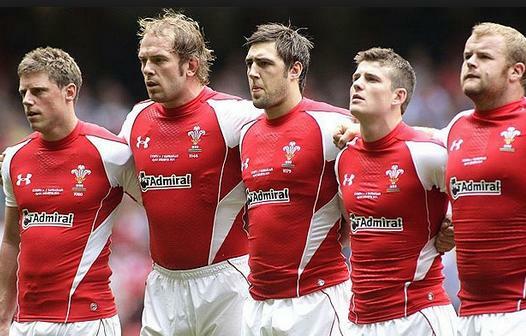 16 of the top Welsh operatic soloists of the day were also involved. The five choristers were Emrys James and Emlyn Bawden (1st Tenors) Arfon Davies and Dudley Williams (2nd tenors) and myself to represent both the bass and baritone sections. The video starts with a spoken introduction, the film starts at 1:02"
BBC TV recording with HRH The Prince of Wales present. BBC ~ Cymanfa Ganu. With other choirs Tabernacle Choir, New Siloh Choir, Swansea Male Choir, Dunvant Male Choir, Morriston Ladies Choir, St David's Church singers and Morriston Aelwyd Choir. 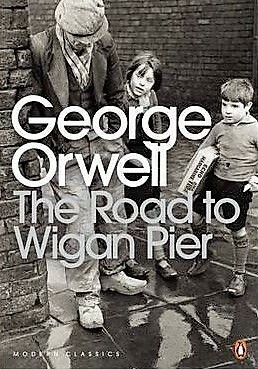 Alun Howells (2nd Bass) recalls: It was a television programme directed by Frank Cvitanovich about George Orwell's book "Road to Wigan Pier". 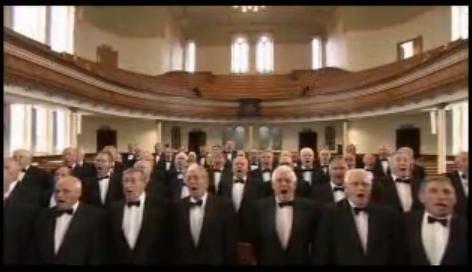 It was filmed at Brynlliw Colliery, and the choir sang the "Red Flag" and part of "The Internationale". The "Red Flag" started with tenors Ben Edwards and Cyril McCrane singing the first two lines and then joined by the choir. 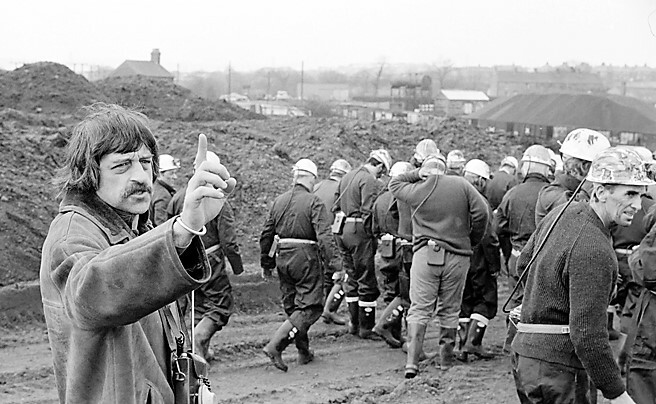 Dudley Williams (2nd Tenor) recalls: On the day of the recording we were filmed in triangular formation, dressed as miners, walking over the brow of a hill. I was in the third row of four choristers. The Times published a drawing of the event which must have been taken from a photograph. 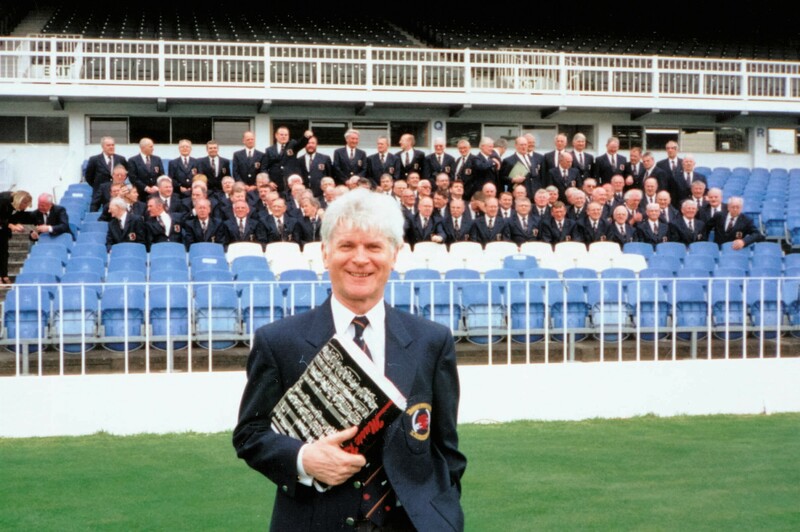 Alun Howells recalls: The programme was introduced by John Morgan, then a high ranking BBC and newspaper columnist ( I'm not sure whether he had been editor of the New Statesman.) 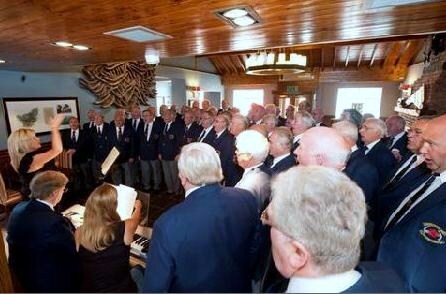 He and his father were long standing supporters of the Orpheus and his own favourite musical memory was of the Orpheus first tenors singing the opening bars of "Y Delyn Aur" and that was the main item the choir sang on the programme. Alun Howells (2nd Bass) recalls: An American station on our first trip to the US in 1973 broadcast the Choir on its early morning show. 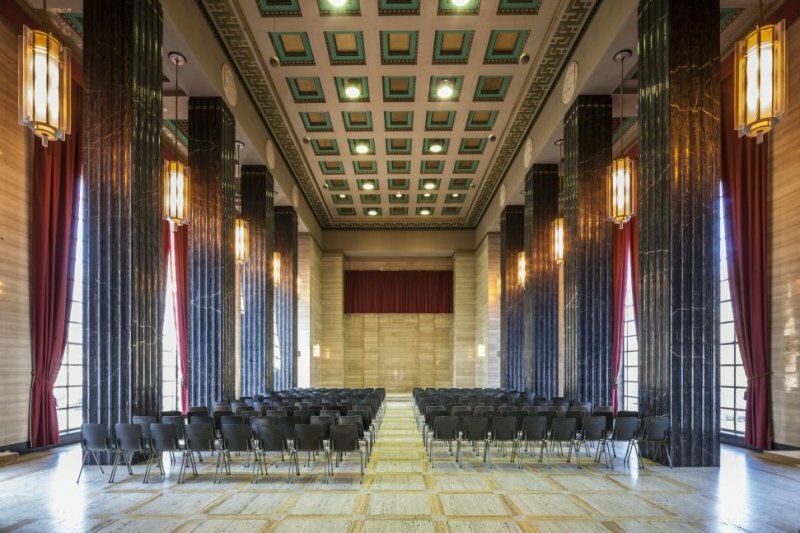 We started off with a quartet (of which I was one along with Alwyn Jones, Cyril Hughes and Arfon Davies) singing the first few bars of "The Roman War Song" from Rienzi, (Wagner) and then the whole choir (over 100 of us) joined in. 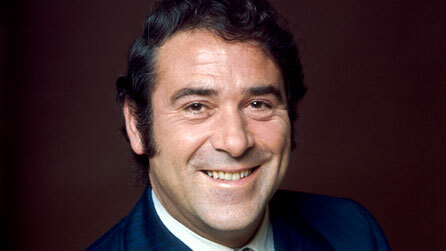 The producer was so thrilled, he came over to visit us in Morriston later that year. 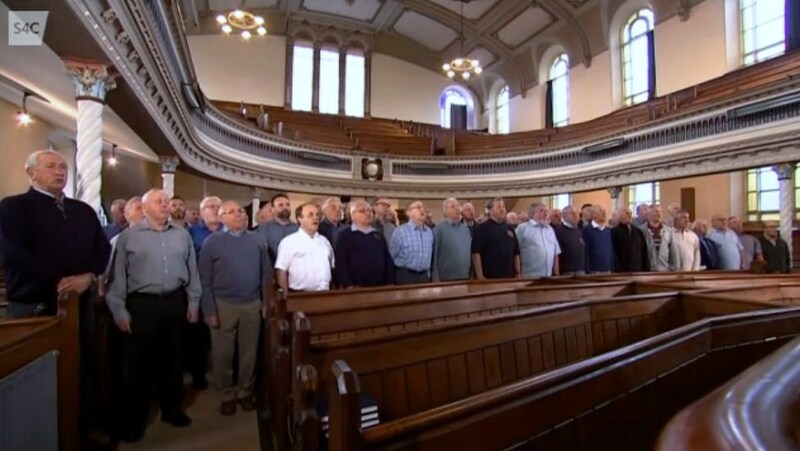 A series of programmes which combine the visual glories of Wales's churches with the glorious sound of some of her finest male choir. 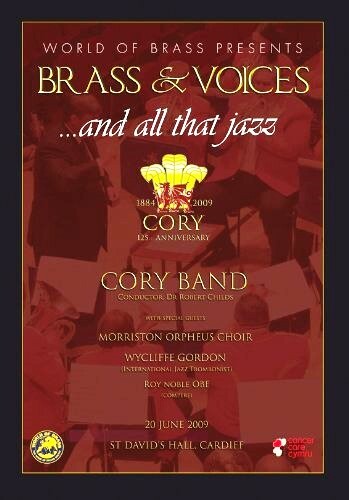 Introduced by GERRY MONTÉ with the MOC and combined choirs of the district and the BAND OF THE SALVATION ARMY. Talking Point: opinions and ideas. 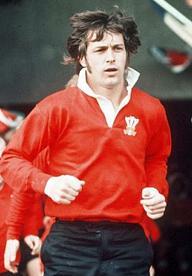 Sir Fred. . . Wise Old Owl! : TONY BARNFIELD talks to SIR FREDERICK ASHTON, Britain's premier choreographer, as he approaches his 75th birthday. European Partners: ANNE HOWELLS joins the Morriston Orpheus Choir on its visit to Ferrara, their twin town in Northern Italy, Sabrina. 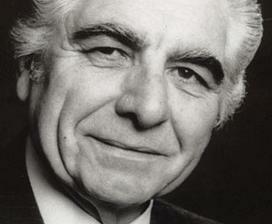 Dr Alwyn Humphreys ( Musical Director at the time) recalls. I remember an appearance on a Margaret Williams show recorded at the HTV Pontcanna studios fairly early on in my tenure, circa 1979- 1980. We didn't perform with Bryn Terflel - I seem to remember him singing 'If I were A Rich Man', but I do remember doing 'My hero' with Margaret ( + The Ronnie Hazlehurst Orchestra). 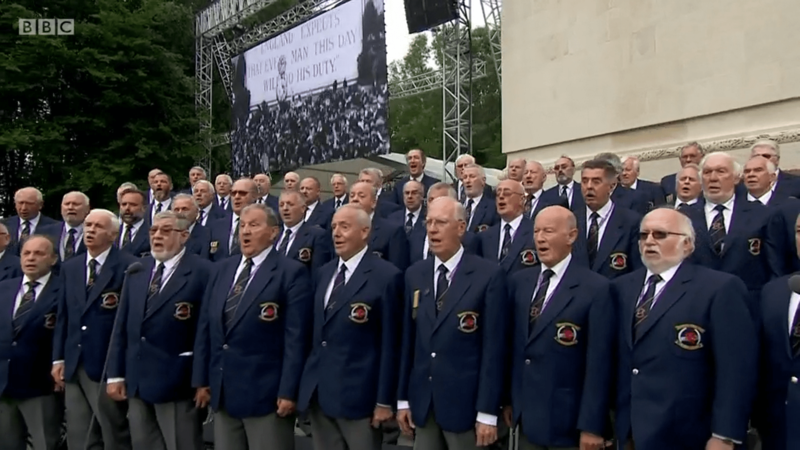 The Choir entertained the crowds in Trafalgar Square on the day of the Royal Wedding. 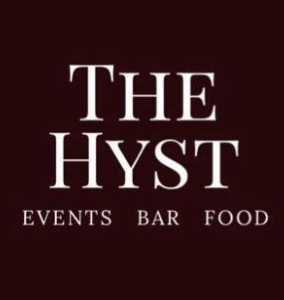 Also appearing on the eve of the wedding, 28 July in Hyde Park for a concert and firework display. In celebration of the Marriage of HRH The Prince of Wales and The Lady Diana Spencer In aid of the International Year of Disabled People. Present were the Prince of Wales and The Lady Diana Spencer in the presence of HM The Queen, The Duke of Edinburgh and their guests. Before an estimated crowd of half-a-million people in Hyde Park, Prince Charles will light the initial beacon to set off a chain of over 100 bonfires throughout the country, organised by the Royal Institution of Chartered Surveyors. Outside broadcast cameras will relay the bonfire lighting ceremonies at Balmoral, Caernarvon and at Althorp, the family home of Lady Diana, where her brother Viscount Althorp will salute the occasion. In Hyde Park the Royal Family and their guests from all over the world will witness a re-creation of the premier performance in 1749 of HANDEL'S Firework Music. 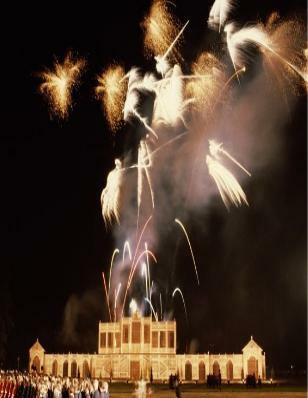 A vast firework palace, built especially in the park, will feature set-piece firework displays reflecting the life of Prince Charles. 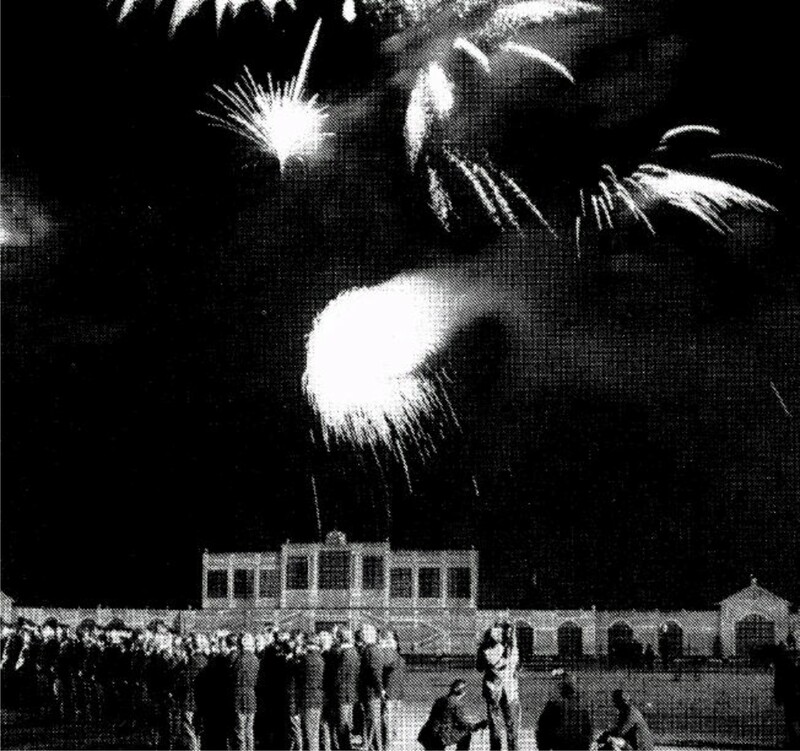 The music accompanying the fireworks will be performed by The Massed Bands of the Guards, The Morriston Orpheus Choir, The choir of the Welsh Guards. Roy Pugh (2nd Tenor) recalls; Who could forget our tea whilst overlooking the Thames at the Houses of Parliament (courtesy of Donald Anderson). Nor have we forgotten the invite into the Speaker's House (courtesy of George Thomas) where we sang for him and could be heard in the House of Commons which was sitting at the time. 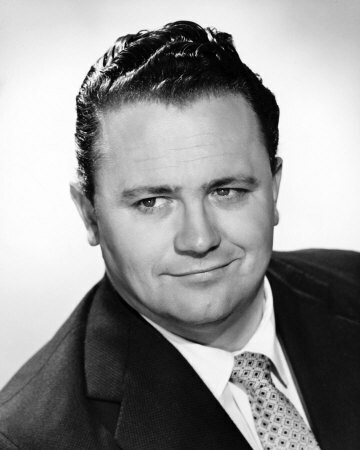 Dudley Williams adds: Those were the days when the Speaker wore a wig which was handed down from Speaker to Speaker. George Thomas, in full regalia, had been jumping from sofa to sofa pointing out his predecessors painted in oils and saying "See that table there! 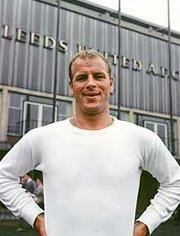 Anybody who has been anybody in Britain since Pitt has eaten there." He then decided that the choristers should try on the Wig which was passed around. We then had tea on the Terraces. 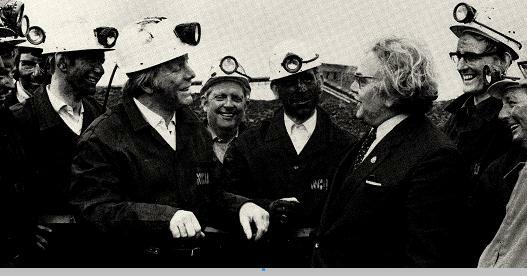 As we walked there Dennis Healey, a Labour Minister, stopped me to say that we had interrupted the proceedings of The Commons and that they had had to sit and listen. George Thomas had told us we shouldn't really be singing in his apartment but had cracked open the door leading to the Chamber. Huw Madoc-Jones (2nd Bass) recalls: On that day a group of choristers was positioned on a bend at the end of Pall Mall as the wedding cavalcade swept past en route to St Paul`s Cathedral. I think that we sang a couple of items to the enjoyment of people crowded around us. 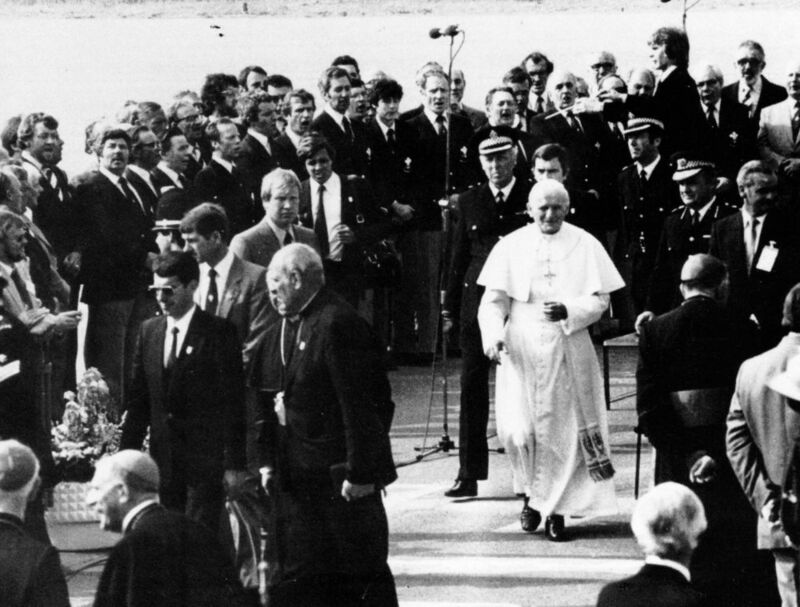 Our main involvement was on the eve of the wedding, Thursday 30th July 1981, courtesy Major Sir Michael Parker. In blazer dress, we stood alongside the Choir and Band of the Welsh Guards in Hyde Park facing the VIP stand but I do not remember what we sang. 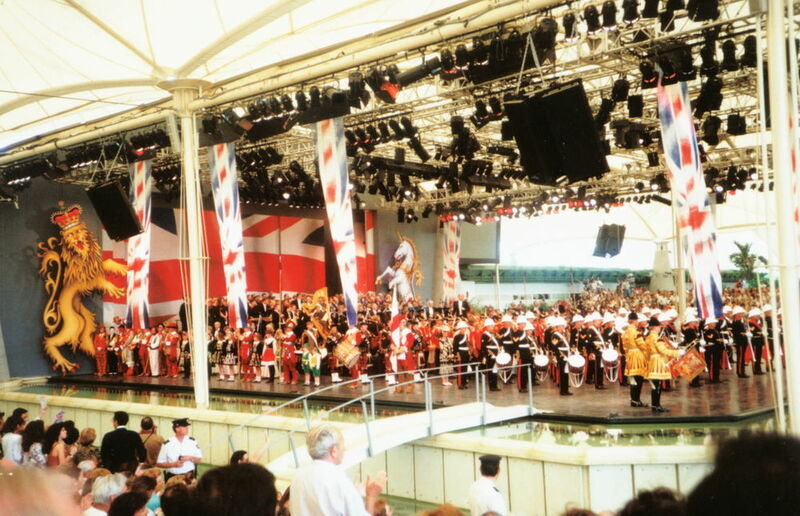 Subsequently, a small book, entitled `Royal Wedding`, was produced by Ladybird Books Ltd which contains an account of the event including the statement `Over half a million people crowded into Hyde Park to watch the display (fireworks) and to enjoy the music of massed bands and choirs.` The book also contains a photograph showing the Choir in position. 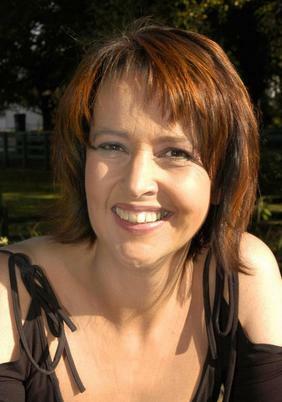 Valentine's Night, presented by Val Howells. TV recording. an event organised by VOLVO to coincide with the visit to Port Talbot of the Venice~Simpion~Orient Express. The presenter, Meredith Evans and the TV crew accompanied the Choir to an engagement at Chichester. 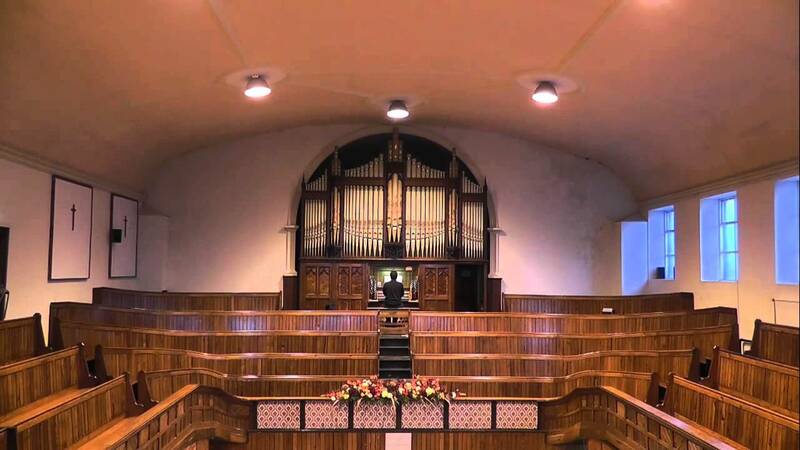 Included in the programme were Musical Director Alwyn Humphreys briefing Meredith Evans about the Choir, the Choir in concert, an applicant having a vocal test to join the Choir, the first heat of a MOCSA competition and the Choir and guests enjoying the afterglow. 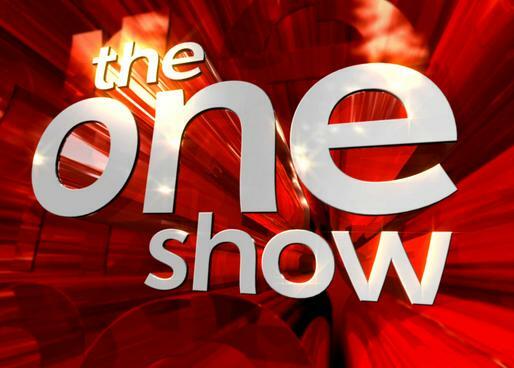 From Radio Times: The final programme in the series looks to the future. One in three people in the United Kingdom die of heart disease now - is the same fate in store for our children? Other countries have proved that it need not be: heart attacks in the United States have gone down by over a third and rates are still falling. 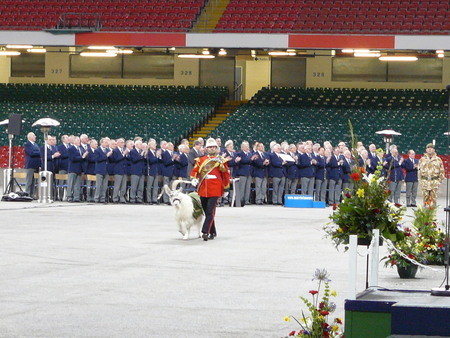 With massed military bands. Present were HM The Queen, HRH The Duke of Edinburgh and HRH The Duke and HRH The Duchess of Gloucester. The BBC TV broadcast was presented by Sarah Kennedy and Phillip Schofield from Hyde Park, London, as HM The Queen opened the largest children's party in the world. 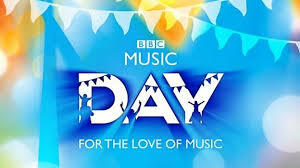 Over 100,000 children from all over the country joined the volunteers of St John for this special day. HM The Queen, HRH The Duke of Edinburgh, HRH The Duke of Gloucester, Grand Prior of the Order of St John , and HRH The Duchess of Gloucester toured the party and met some of the people and children present. for HTV TV 10 September. Broadcast 22 October at 19.30. 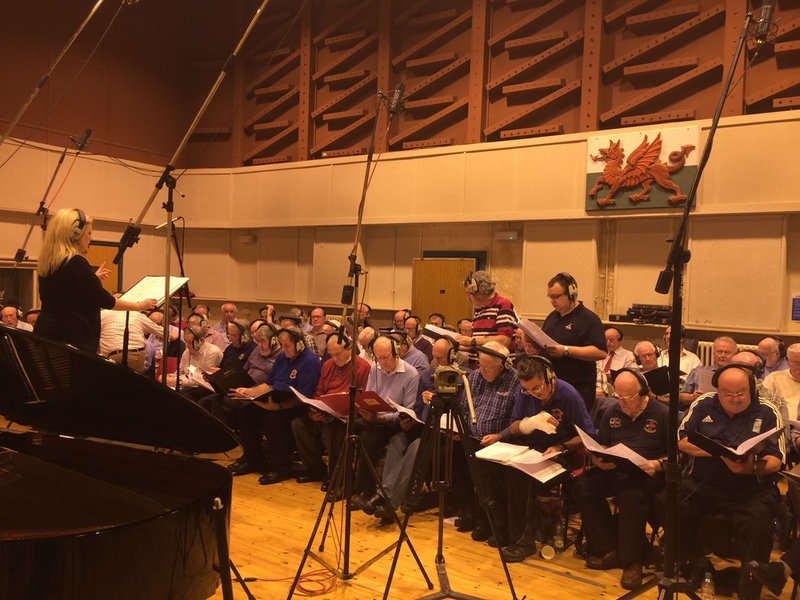 Recorded at Culverhouse Cross Studios, Cardiff. Produced and directed by Alwyn Humphreys who also conducted the Choir, with Helen Mair, soprano and Timothy Evans, tenor. 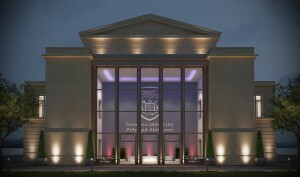 Roy Pugh (Archivist / 2nd tenor) recalls: The IRA exploded a time bomb at the Royal Marines School of Music building. 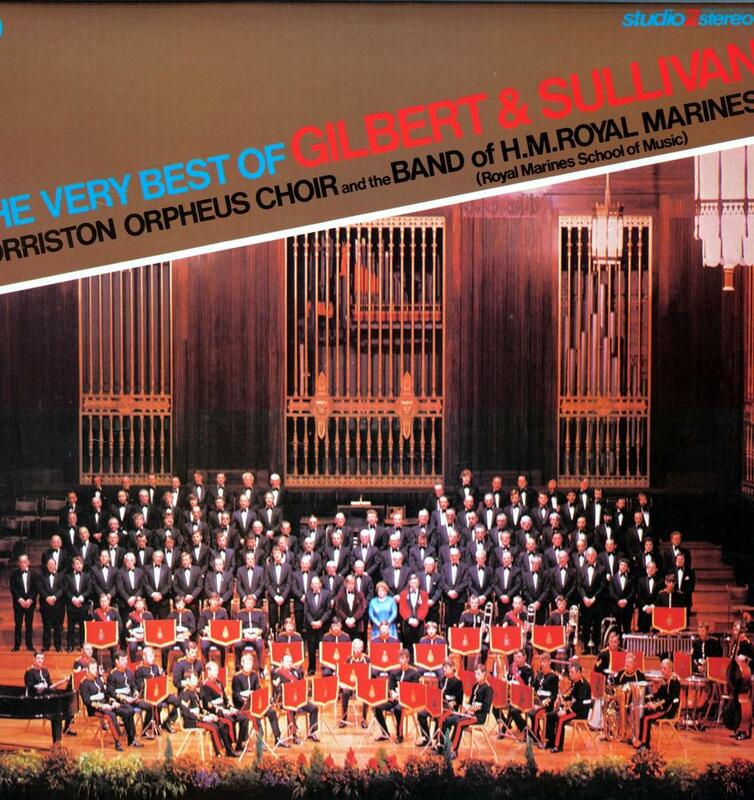 The building collapsed, killing 11 marines from the Royal Marines Band Service, and wounding another 21. 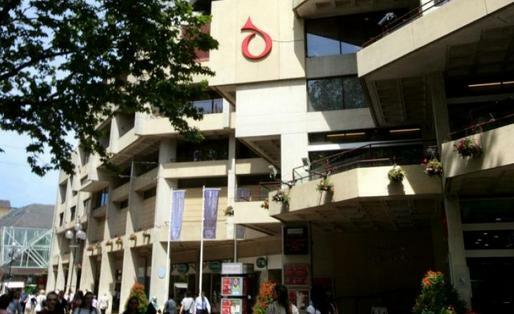 Hosted and presented by Joanna Lumley at the BBC Shepherds Bush Studio, London. 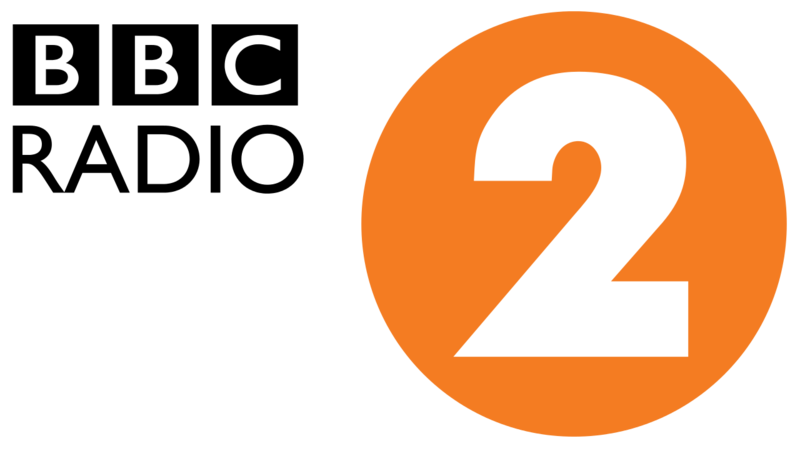 20 October. 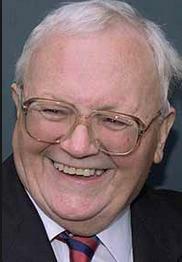 Roy Pugh (Archivist / 2nd Tenor) recalls: Featured in the programme were The Alarm, Harry Secombe and Spike Milligan. This engagement arose as a result of the success in the charts of a recording entitled A NEW SOUTH WALES which the Choir and The Alarm had made. We almost made the Top of the Pops as a result! 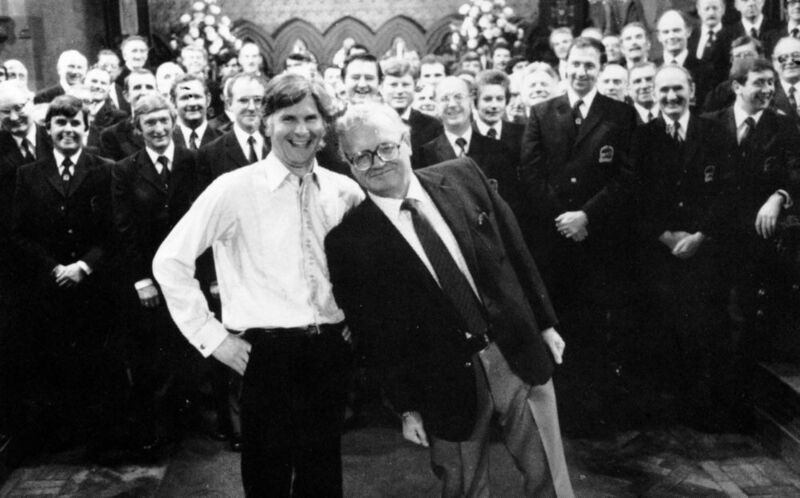 Dr Alwyn Humphreys (Musical Director at the time) recalls: After recording the video of A NEW SOUTH WALES with The Alarm in a London Church, it was shown a few times on TOTP. A variety show 24 July. BBC Studios Cardiff. With pop group The Alarm. 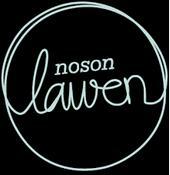 23 November .Part Choir only. 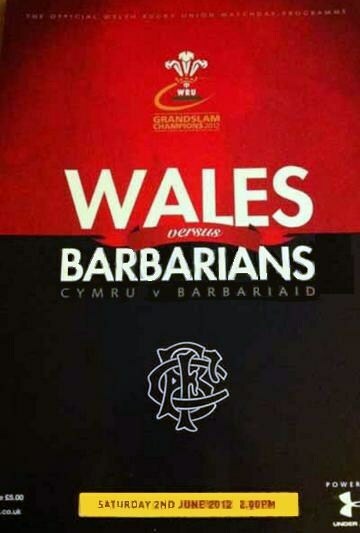 28 February at the Culverhouse Cross Studios, Cardiff. 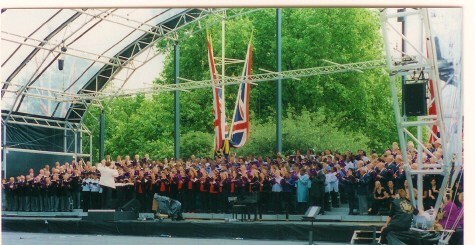 Participating were Nomad, Ruth Madoc, Windsor Davies, Alun Williams and the BTM Band. 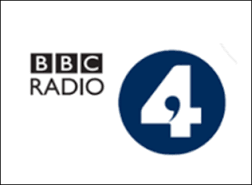 Broadcast the story of the unknown thief who stole a 78 recording of MYFANWY from our then Chairman’s unattended motor car. After an appeal through the local press the thief left the recording outside the Morriston Police Station and phoned them tell them it was there; after he had left. The recording was a treasured item from our Archives and was recorded when the Choir was conducted by the late Ivor E Sims. 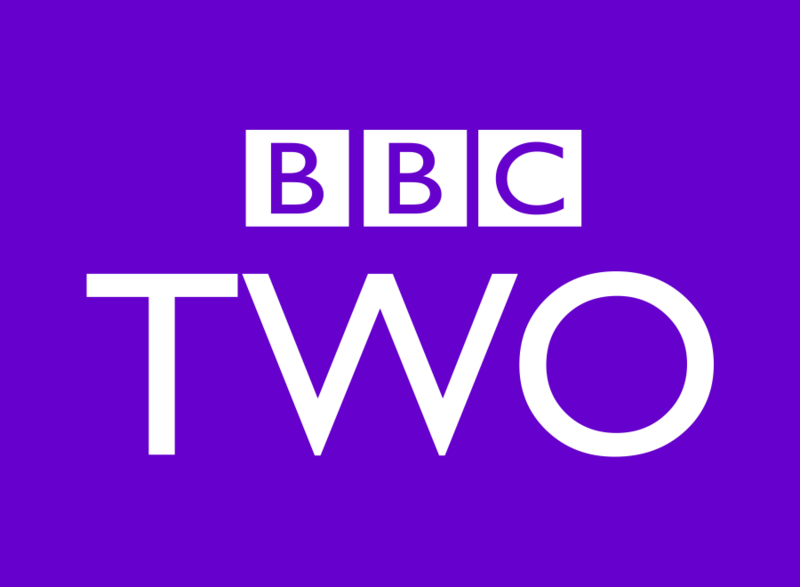 21 May TV recording. 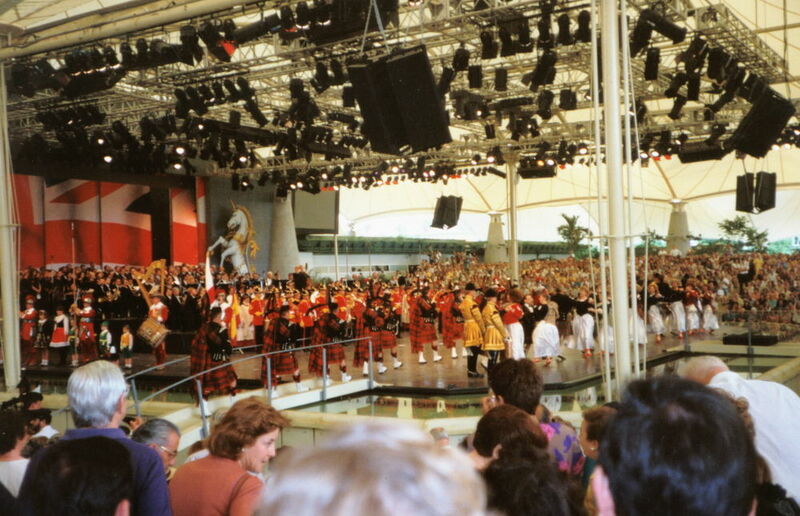 Representing Britain were a variety of entertainers from England, Ireland, Scotland and Wales including military bands, Scottish dancers, a Ceilidh band, clowns, Pearly Kings and Queens. and Owain Arwel Hughes conducting. 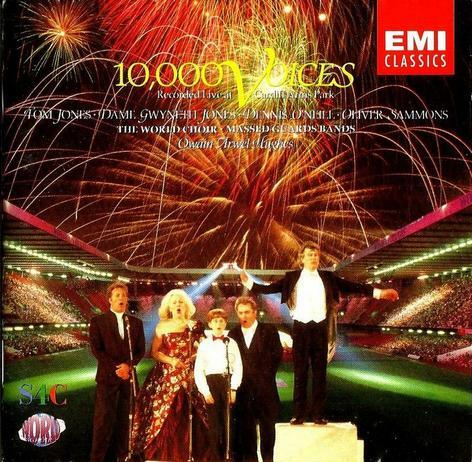 An international assembly of choirs from around the world, with Tom Jones, Dame Gwyneth Jones (soprano), Dennis O'Neill (tenor), Oliver Sammons (boy soprano) and the Bands of the Welsh, Irish, Scottish and Coldstream Guards. Last in this series in which Alan Titchmarsh makes a musical pilgrimage through the country. 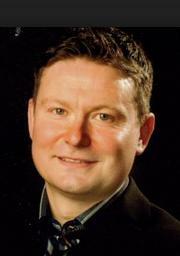 Accompanied by the vocal group Angel Voices, he explores the hallowed world of the great British cathedrals. Doing Things Big. 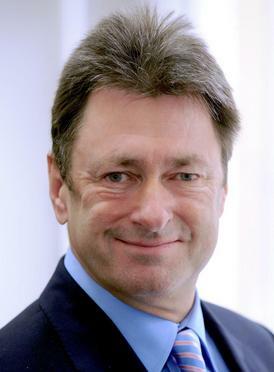 This week Alan Titchmarsh meets the massed voices and enthusiasm of great choirs, including the Huddersfield Choral Society and the Morriston Orpheus Choir. 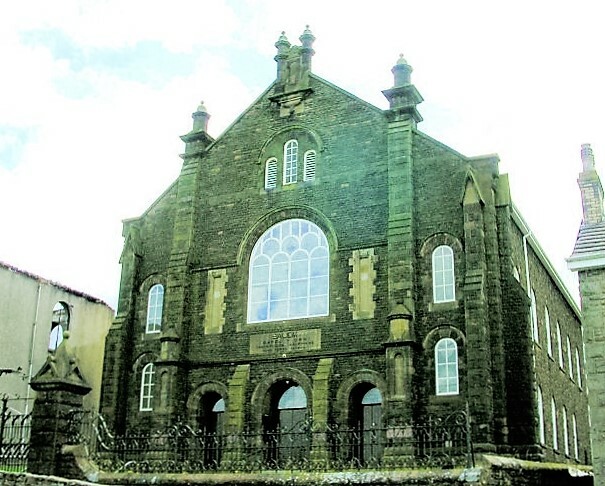 Broadcast 1 March, recorded 23 January at Tabernacle Chapel, Morriston. A memorial concert as a tribute to the late Mrs Elvira Allison with Morriston Orpheus Choir, Penclawdd Brass Band ( MD Tony Small) Salvation Army Songsters, Menna Trusler (Radio and TV actress), Claire Hammacott (soprano), Rachel Davies (harp), Gareth Small (trumpet), One Step Ensemble. 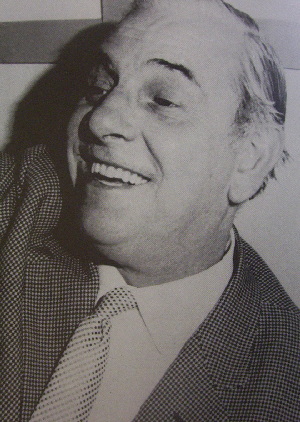 David Lloyd-Jones compère. 24 March. 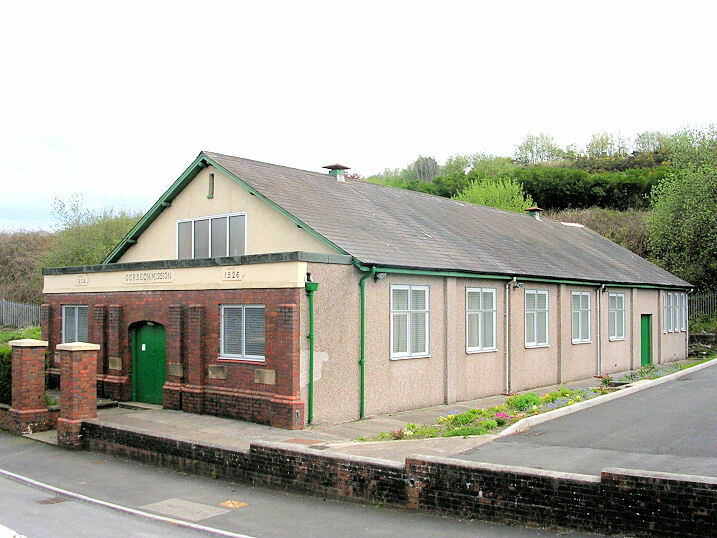 Tabernacle Chapel, Morriston, Cymanfa Ganu for the Sir Geraint Evans Welsh Heart Research Institute Appeal. 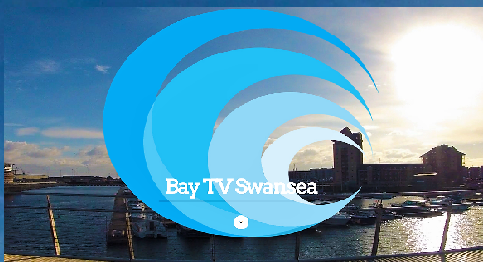 Broadcast HTV 23 April 1993 / recorded 9 October 1992 for the Swansea Festival. Recorded 6 June. 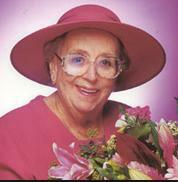 Thora Hird. Pinewood Studios, London. Recorded at Pinewood Studios with Carlo Curley (organ), The Angel Voices, The Jenkins Family Singers, The Salvation Army Choir. One Voice. What happens to people who make the right or wrong decisions? That's the theme this week as Thora Hird explores the difficult path to heaven and the easy slope to hell. 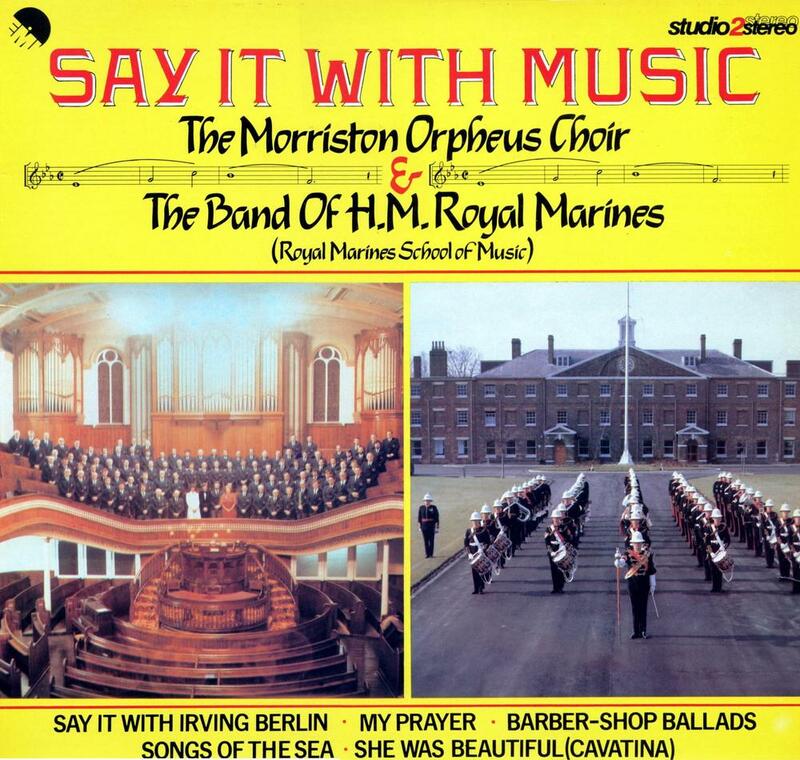 As a turn-of-the-century religious poster comes to life in word, music and song, she meets the Angel Voices choir, organist Carlo Curley , the Morriston Orpheus Choir, the Jenkins Family Singers, the Salvation Army's Staines Citadel Choir and Father Noel Godwin. 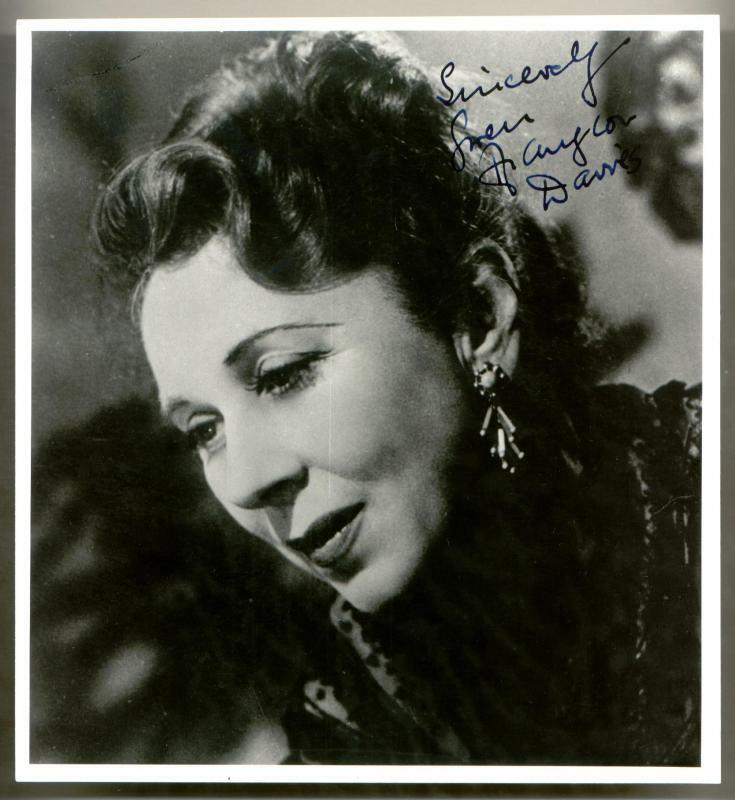 Penny Gore discussed the composer's decling years with Jerrold Northrop Moore. 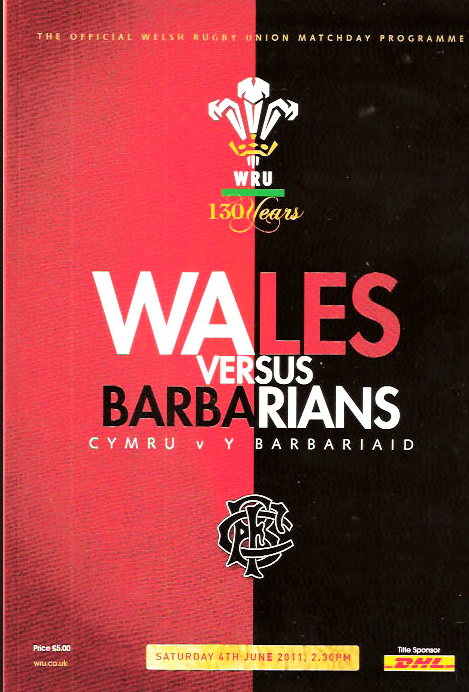 Recorded at Tabernacle Chapel, Morriston on 13 March 1994 and broadcast on June 11th, 18th and 26th and July 3rd and 10th. 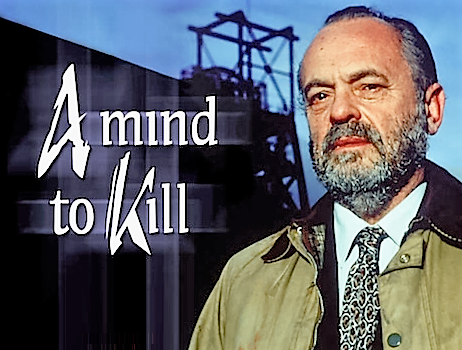 Synopsis Through the tragic consequences of an attempted double arrest, Detective Chief Inspector Bain (Philip Madoc) goes to his log cabin in the country for solitude. Having invited a young hitch-hiker back to his cabin, an escaped convict arrives with Bain's daughter as a captive and holds all three hostage. 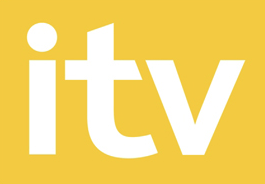 Opus Television programme Llwyfan and produced for S4C (Welsh Television) by Ceri Wyn Richards Alwyn Humphreys (Musical Director) Broadcasts on January 6,13,20 & 27, February 3 & 10. 22 May. With 'Angel Voices' . 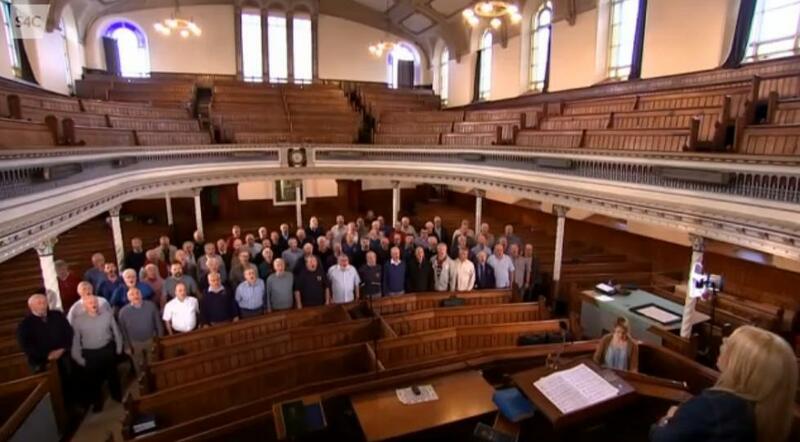 Choir sang 'Sound an Alarm' A sound recording. 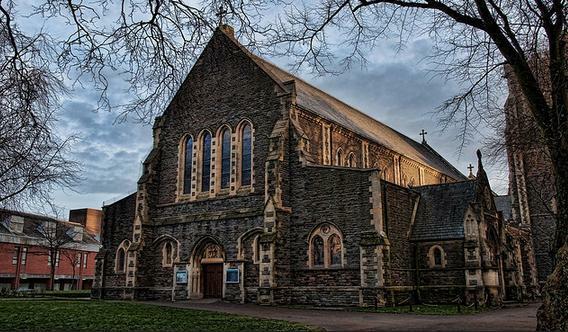 MOC: Nidaros, conducted by Alwyn Humphreys and recorded in the Sacred Heart Centre, Morriston. 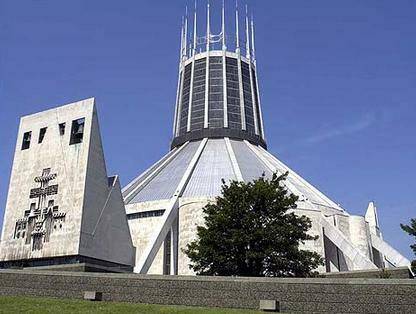 Metropolitan Cathedral of Christ the King, Liverpool. 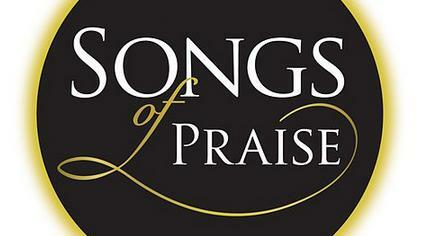 With Pam Rhodes, Diana Louise Jordan, Wayne Sleep, Michael Ball and the Love and Joy Gospel Choir. 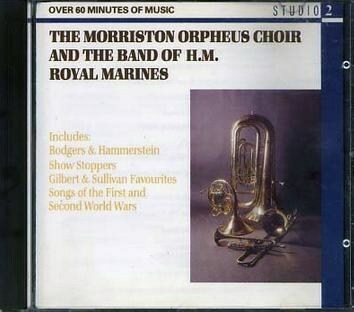 Morriston Orpheus provided part of a sound track to one of the episodes. No further details to hand. 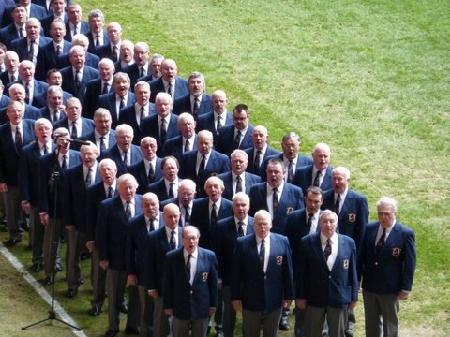 for BBC TV 26 May An open air concert in Cardiff Bay to celebrate the formation of the Welsh Assembly Government. 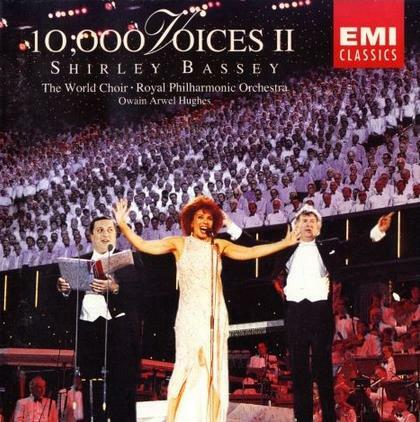 Dame Shirley Bassey was 'top of the bill' at the concert. 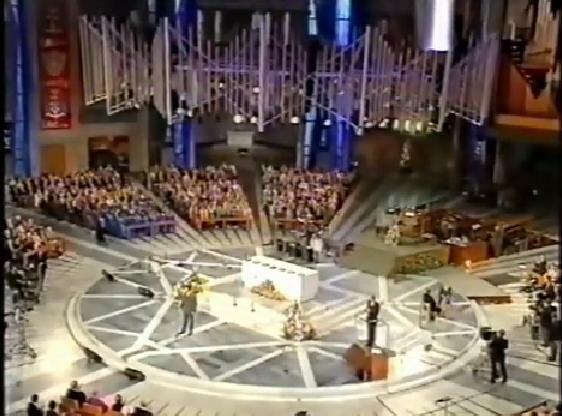 Don McLean and Sir Cliff Richard talk followed by The Millennium Prayer sung by Sir Cliff, and the audience with the choirs. 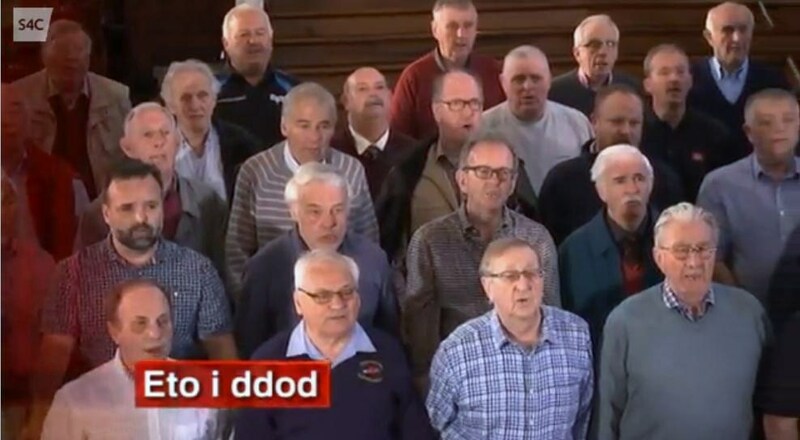 On the Choir's visit to New Zealand 20th August, Dr Alwyn Humphreys MBE (Musical Director at the time) recalls, 'We were filmed singing CWM RHONNDA. Outside Buckingham Palace, London with a symphony orchestra,a mixed choir and a gospel choir - 800 voices (approx). Also involved was a wind band, a brass band, a brass ensemble, a steel band and three military bands. Huw Madoc -Jones (2nd Bass) recalls; We appeared outside and facing Buckingham Palace on a specially constructed stage at the side of the Mall. In the photograph above we are positioned on the right and partially obscured. On that occasion Alwyn Humphreys ( the Choir's Musical Director) was unable to attend so we were conducted by Huw Rees (Deputy Musical Director) in the individual items which we sang. 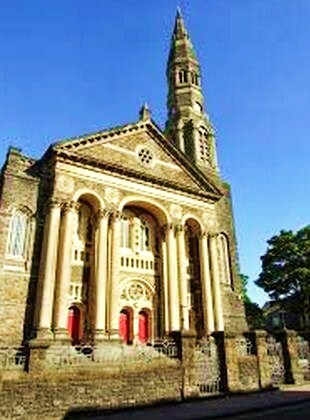 The memorial service was held in St Thomas' Parish Church, Swansea, the church where the comedian, singer and TV presenter first performed as a young chorister. A plaque was unveiled outside the building. 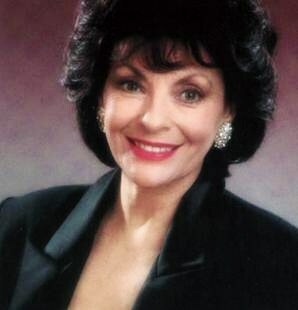 Personalities attending included Eric Sykes, Wyn Calvin, Ruth Madoc, Philip Madoc and Anita Harris. St Thomas' Parish Church was not only Sir Harry's local church - it was also where, as a young chorister, he began his outstanding singing career. The plaque - which was consecrated by the Rt Rev Anthony Pierce, Bishop of Swansea and Brecon - was the first permanent tribute to him in Swansea. 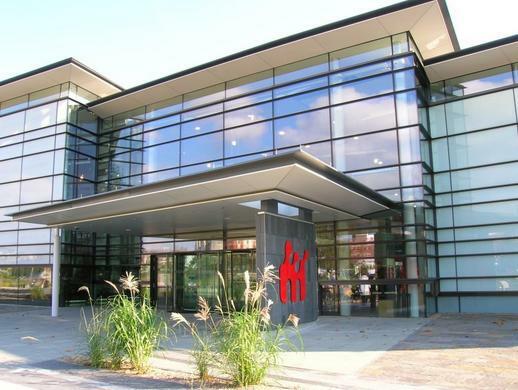 On 1 March 2006, HM The Queen opened the permanent home for the Welsh Assembly in Cardiff. Wynford John (1st Tenor) recalls: We took part in the opening of the Welsh Assembly on St Davids Day 2006 and it was opened by the Queen. 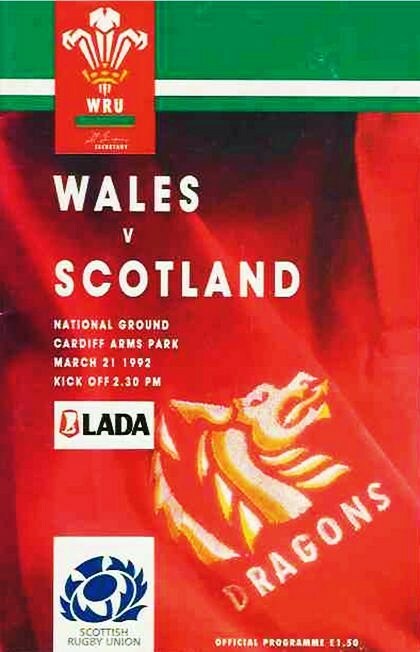 Among other artists were Dame Shirley Bassey, Sir Tom Jones, along with Max Boyce, Glyn Houston, Sian Lloyd and many others, this again was a wonderful experience. 20 April 2007 at the Crusaders v Hurricanes game. Graham Henry (Choir Vice-President) and All Blacks coach was present. 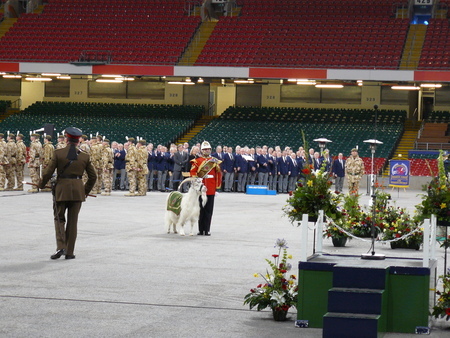 Soldiers returning to Wales from Iraq were given a hero's welcome by the Orpheus on the 11th December 2007 at the Millennium Stadium. 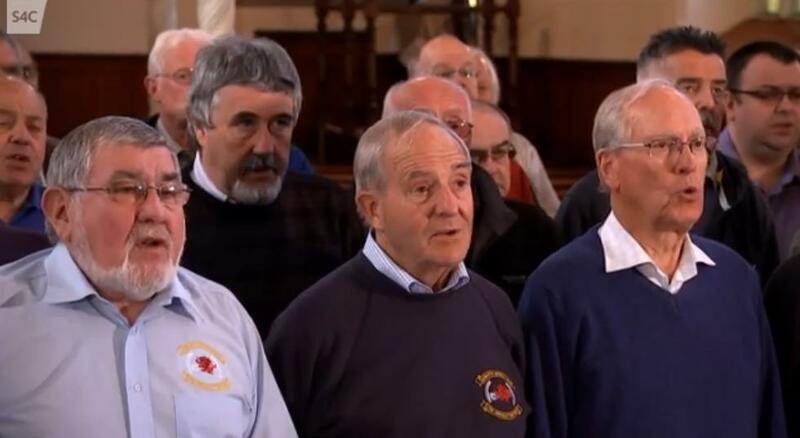 The Choir lent its vocal support to the soldiers during a very moving service to mark their return from Basra. The Orpheus was extremely proud to have been the only civilian organisation to take part in the ceremony which served as both the medals parade for 220 of the soldiers on return from battle but also as an act of remembrance for the 3 members of the regiment lost during the operation. The Choir was joined in the music making by the Lucknow Band of the Prince of Wales' Division which added to the military precision. 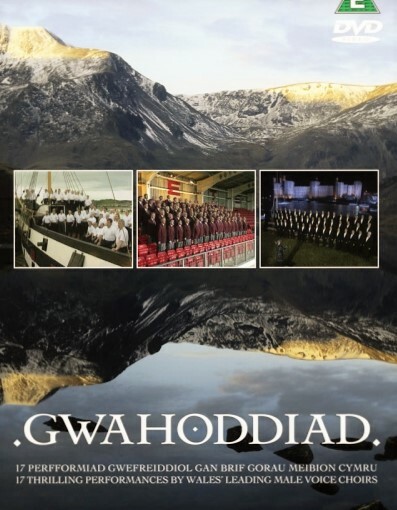 The Bandmaster had the honour of conducting the Choir in the service hymns and in Mae Hen Wlad Fy Nhadau. From the National Waterfront Museum, Swansea where we sang 'Y Delyn Aur' and 'Nella Fantasia' . This was just prior to leaving for our tour to Geneva and CERN 9 October. Also participating were Roy Noble and Connie Fisher. David Taylor, as an officer of the Choir, was interviewed about the CERN visit. 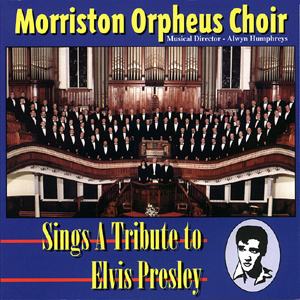 Recorded at Capel-y-Cwm, Swansea on 14 July 2010. 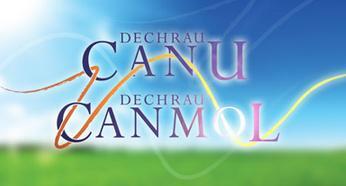 Broadcast on BBC Radio Cymru on 8 August and again on 11 August. Desmond Carrington played many tracks on BBC Radio 2 from the re-released CD entitled 'A Grand Night for Singing' - MOC with HM Band of the Royal Marines, Deal. 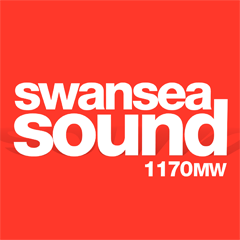 In Music Matters this week Tom Service travelled the length and breadth of Wales for a Welsh Christmas. 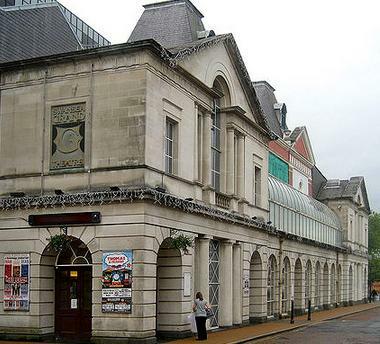 The Orpheus was recorded in Capel y Cwm, Swansea on 15 December. Tom Service interviewed several members of the Choir. 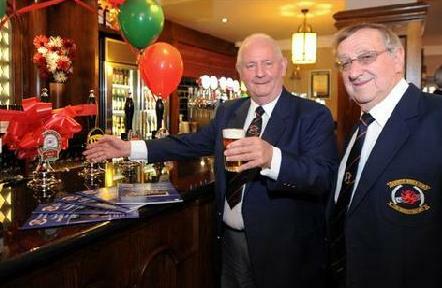 The launch of the new MOC beer at the Red Lion, Morriston. 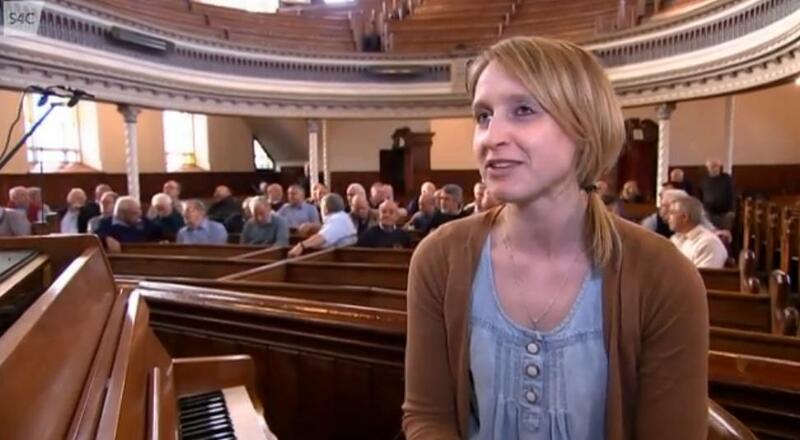 Musical director Joy Amman Davies was interviewed by Rhodri Davies for Wedi 7 (Tinopolis) She was interviewed live on the show. Over 500 athletes from 40 countries participated in the IPC European Games at Swansea University Sports Ground. Film starring Rhys Ifans and Charlotte Church, and directed by Kevin Allen (Twin Town), the film is the first cinema production of Dylan Thomas’s brilliant, haunting radio play since Elizabeth Taylor and Richard Burton’s 1972 film. 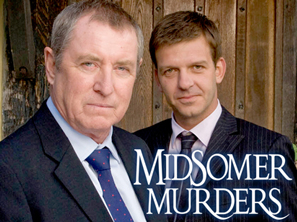 Adapted by T. James Jones, with a screenplay written by Murray Lachlan Young, Michael Breen and Kevin Allen, it veers away from the traditional, literal reflection of Thomas’ original work and instead explores some of the more visceral elements of the funny, filthily fluid and magical dreamscape of the work whilst staying faithful to Dylan Thomas’s original text. The Welsh Language version (with English subtitles), Dan Y Wenallt, will premiere on December 11th at Cardiff’s Chapter Arts Centre, and will open simultaneously in cinemas and arts centres across Wales. 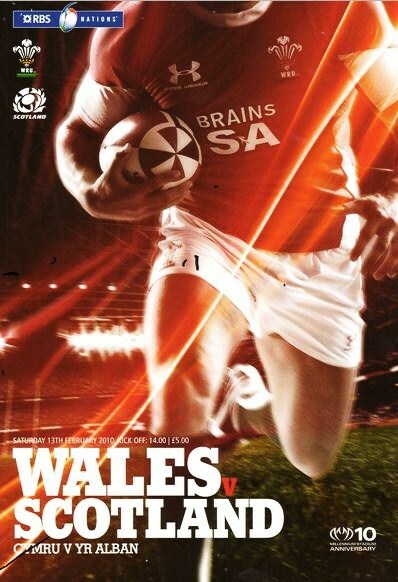 The film will then screen on S4C at 21:00 on 27th December. Under Milk Wood, the English version of the film will be released Spring 2015. 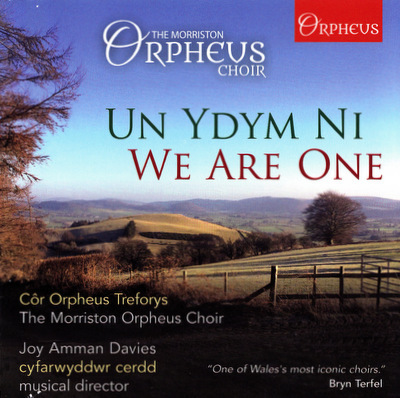 16th April 2015 concerning the launch of the latest CD Un Ydim NI - We Are One celebrating the 80th anniversary of the founding of the Morriston Orpheus Choir in April 1935. 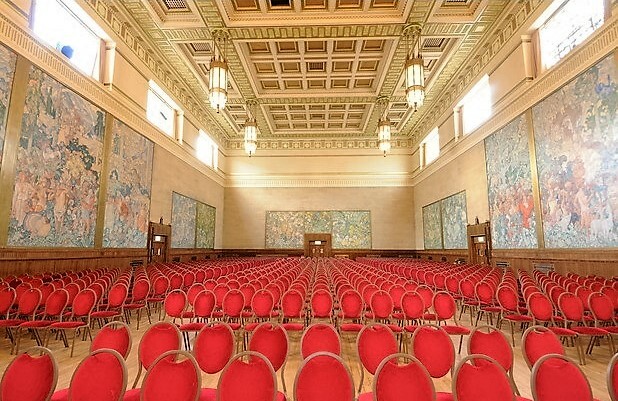 The Choir was fimed in rehearsal in the Great Hall of Swansea University Bay Campus, venue of the Annual Gala Concert 16 April 2016. 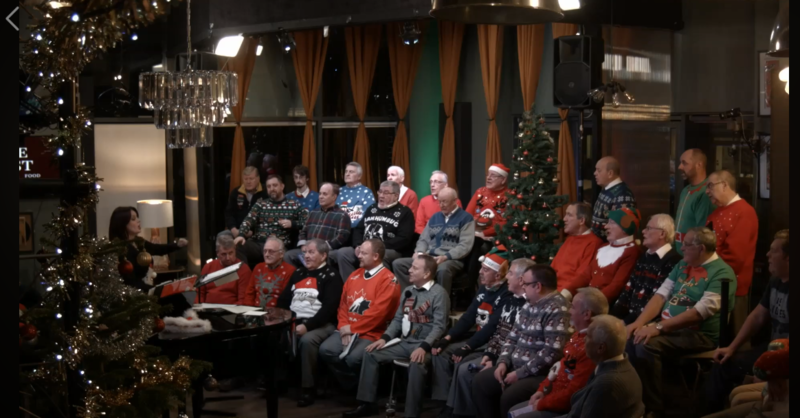 The Choir recorded some Christmas music for broadcasting on Bay TV Swansea. 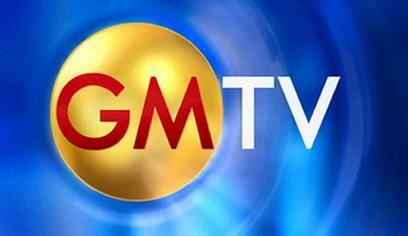 It was broadcast on Christmas Day and Boxing Day at 2:00pm. 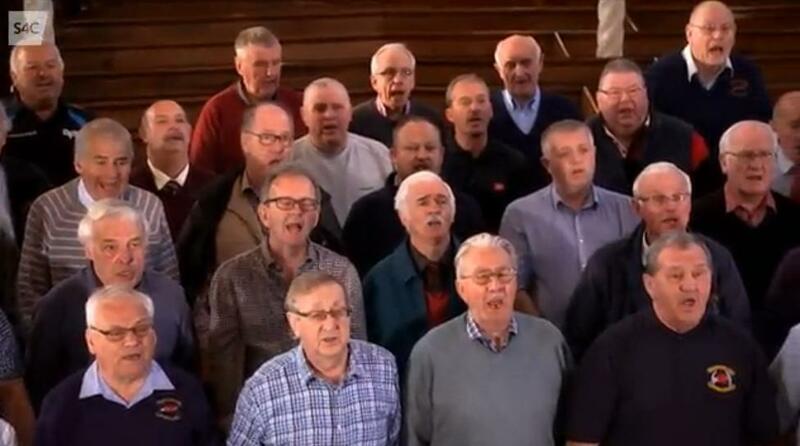 The entire show was 2 hours long and featured several choirs from all over the UK, plus The Priests, a well known classical musical group, made up of three Roman Catholic priests. There are also readings, interviews and stories all celebrating the diversity of the way Christian communities in the UK celebrate Christmas. The MOC sings Mor Hawddgar yw dy bebyll (Psalm 84) by Eric Jones, and Ni cherddi'n unig byth (You'll never walk alone from 'Carousel') by Rodgers and Hammerstein in a special arrangement by Alwyn Humphreys for the MOC.